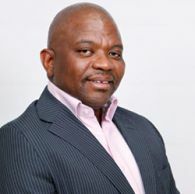 loveLife’s new Board Chairperson Moss Mashishi is a super successful businessman with his heart firmly rooted in youth development. Thandiwe McCloy caught up with him to bring you this Q and A. In Mashishi, the loveLife Board has a strong and visionary leader. Here you can read a little about his upbringing, passions and what he has to say about heading our board. I was born and grew up in Tladi, Soweto, but moved to Mmabatho in 1978 to complete my schooling because of the unrest after the student uprisings. On completing matric, I went to Wits University where I graduated with a BA in politics and law and then a LLB degree. I am driven and humble, with a strong sense of integrity. Why did you become loveLife Board Chairman? I have always been involved in public service, mainly in youth organisations promoting sport. My position as loveLife Board Chairman affords me the opportunity to shape the future of young people, who are facing numerous challenges. I also like that loveLife has major access to youth nationwide and a strong legacy in youth HIV prevention. What are your plans for loveLife as Chairman of its board? loveLife has made a huge contribution to reducing HIV and shaping the future of young people, but we can do more in the youth space. The organisation has an excellent, national, well-organised network, but it needs to be optimised. While loveLife works on various aspects of youth development, we must amplify our efforts. We need to reposition the organisation so it is optimised as a youth network of choice – not just in terms of HIV prevention, but on other issues affecting young people. As loveLife, we must maintain the quality of our offering and ensure that the same high levels of quality are sustained across all our programmes in all nine provinces. This way, we will enhance our ability to attract new stakeholders, resources and financial support. How do you feel about chairing the loveLife Board? It makes me happy because loveLife resonates with issues I feel are important. Since 2008, I have focussed on my business ventures, but now I want to concentrate more on public service work and contribute to broader society. I’m fanatical about what I do and will make time to serve as loveLife Board Chairman to the best of my ability. I didn’t have much growing up. This developed a strong sense of having to work hard in order to succeed. As I didn’t have a wealthy family to fall back on, I made sure to seize opportunities as they came. Through determination and my own self-belief, I managed to attract people who invested in me. Good marks earned me a scholarship at high school, while bursaries and a student loan covered my university fees. If a person has enough will to succeed, then chances are they will. Instead of always asking yourself: “What can somebody do for me?” Ask yourself: “What is my role in my success?” Young people need to understand the importance of taking ownership of their future and being architects of their own destiny. My family’s strong love and support also helped me to navigate challenges and motivated me to reach for my dreams. I love golf and football! I also really enjoy reading biographies because they show what is possible and that success is not built on a bed of roses. I’m also passionate about seeing a South Africa where more young people are given the opportunity to realise their full potential.